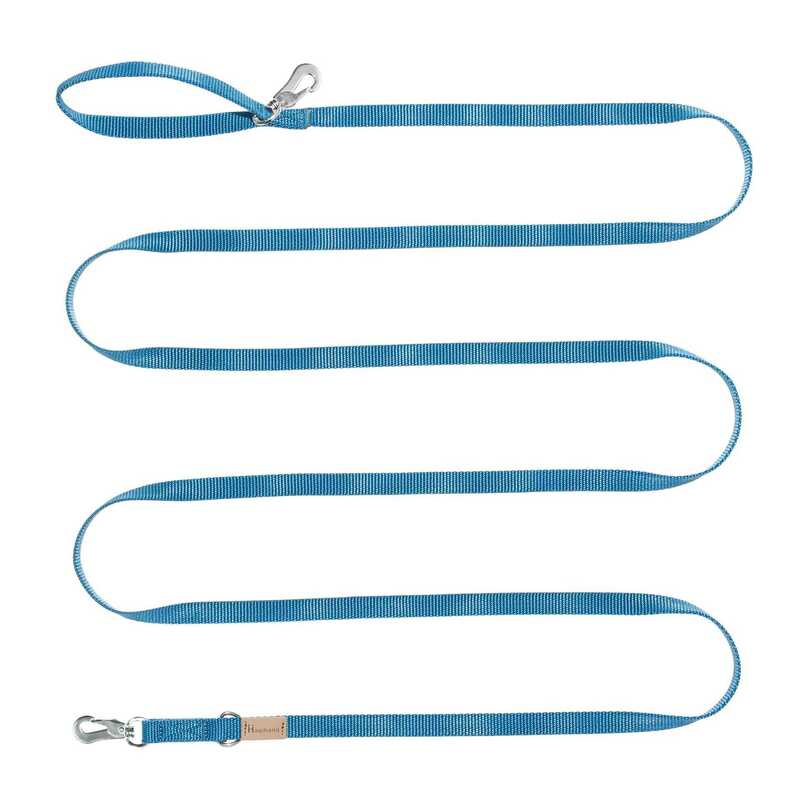 Our leashes are made of high tenacity spun-dyed nylon (polyamide) webbing available in various lengths (from 1.50m to 10m) and widths (15mm or 20mm) according to size. 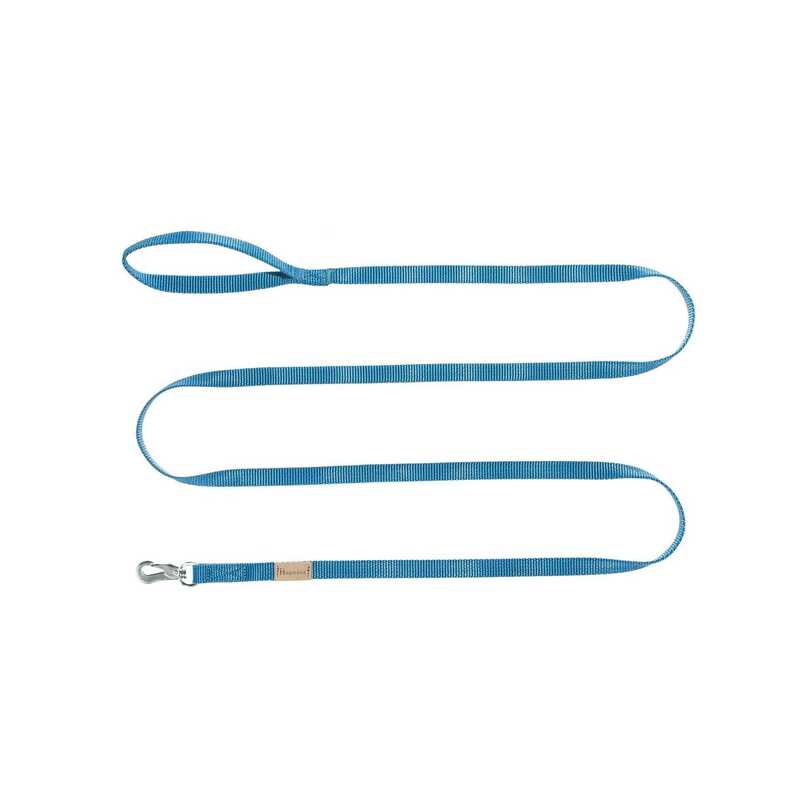 All leashes feature the snap-hook BREMA in stainless steel AISI304. They all feature a loop handle. The 1,5M, 5M and 10M models cannot be halved in length. 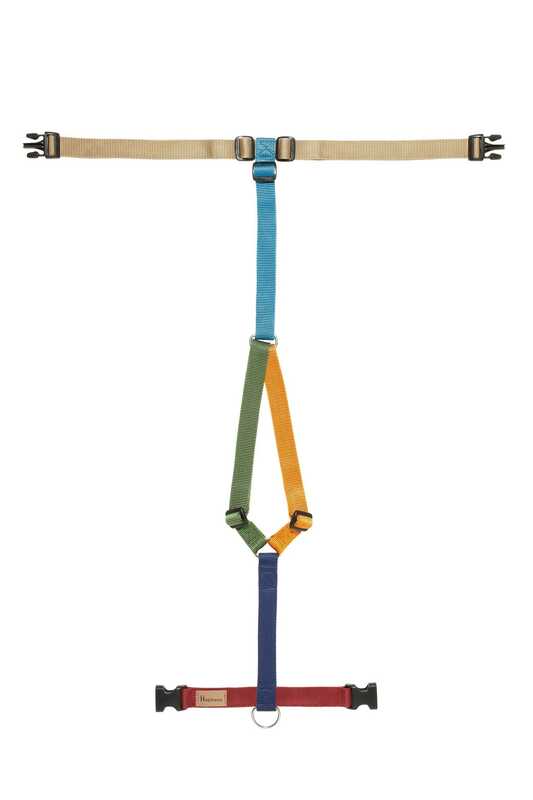 Easy to wear, comfortable and elegant: that’s the Haqihana harness. 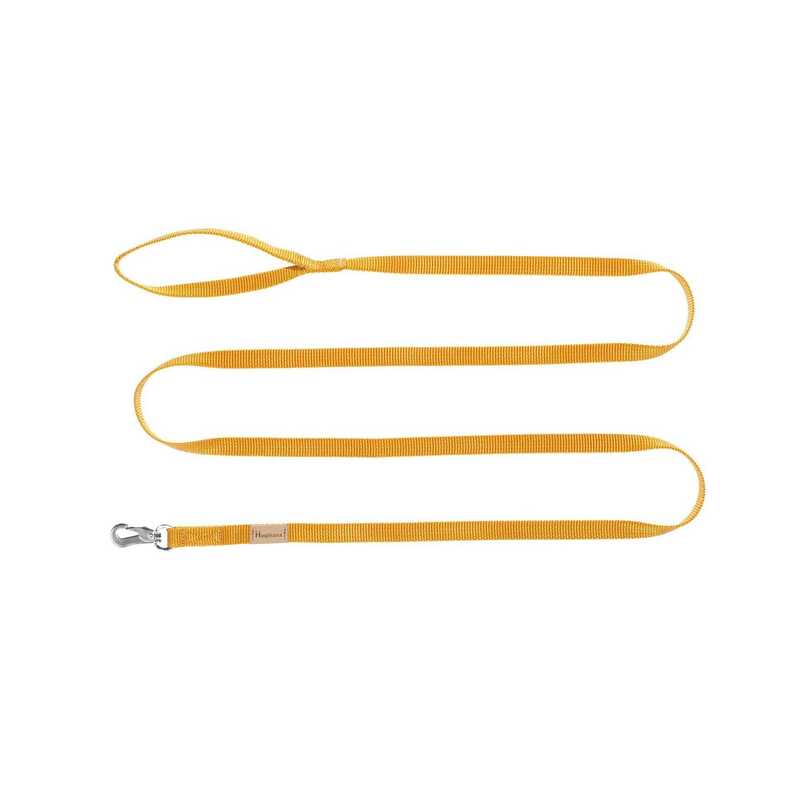 Made by artisans from materials produced in Europe, it’s the perfect way to guarantee the utmost comfort for your dog without causing pain, rubbing, sense of restriction or other discomfort. 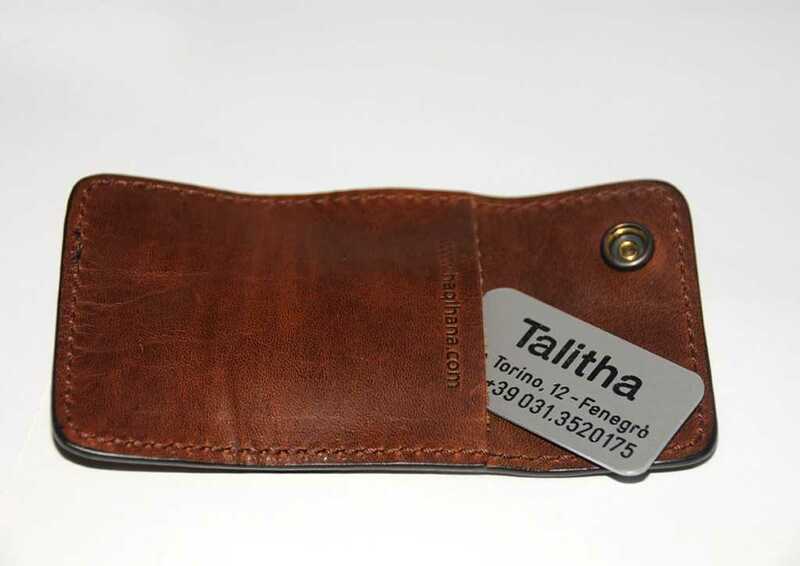 It has five point regulation, all parts are sewn together with secure stitching and the plastic components are rounded off with no sharp edges. 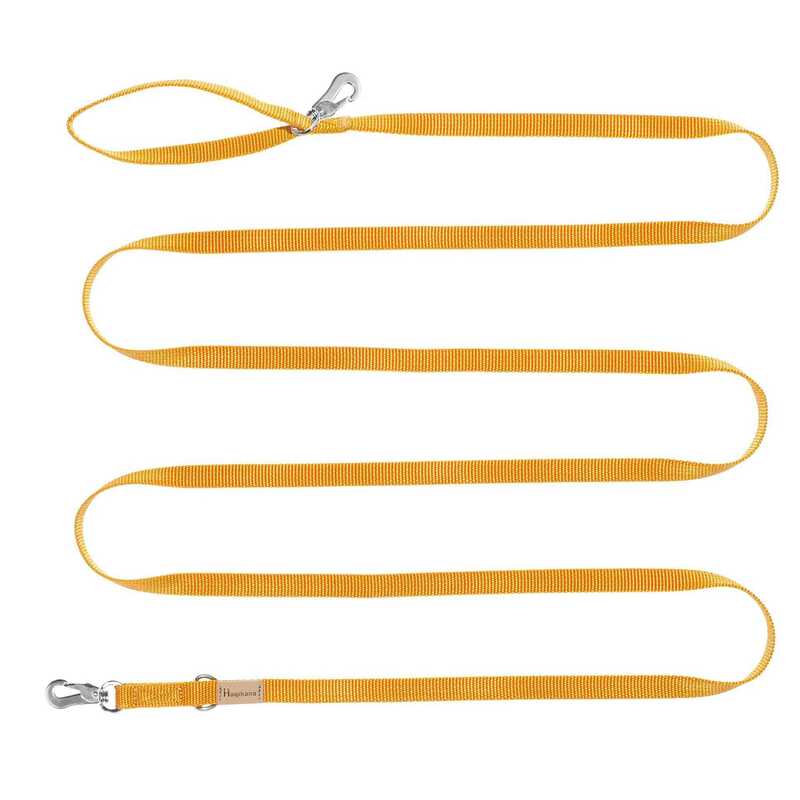 The versions ML, SL, XSL and XXSL have longer straps that run along the dog’s torso (back and abdomen) and are intended for long bodied dogs. 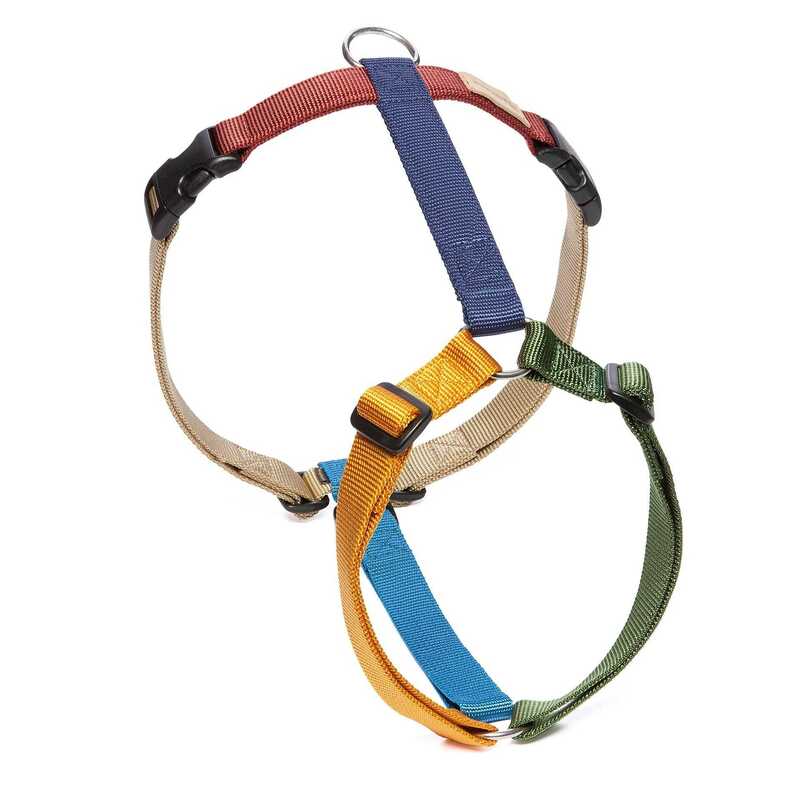 Webbing widths vary (15mm, 20mm or 25mm) according to the harness size. It’s compact, resistant and matches the whole colour range. Our Pochette is the perfect place to keep your dog’s tag and waste bag. 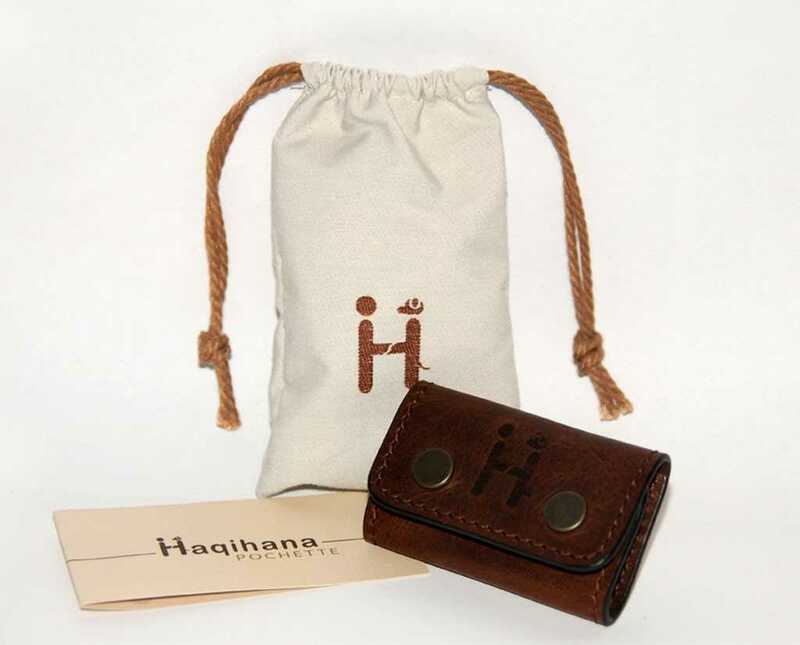 Hand-crafted in leather with the traditional Haqihana quality, its shape has been specially designed to clip onto the harness with burnished brass snap-fasteners. It’s simply a "made in Italy" product.